How did Kayamandi parkrun come about? We decided to start Kayamandi parkrun because we realized that Kayamandi people loved running. Since most of them don’t have cars, they used to run all the way from Kayamandi to Root44 parkrun and run back to Kayamandi once they had completed Root44 parkrun (approx 30km overall). We wanted to remove this barrier by creating a local parkrun. Also, there aren’t many sporting activities for kids to participate in thus they are usually just seen loitering on the streets on weekends. We wanted to give these kids something to get excited at least on a Saturday morning, something which is FREE. Philisiwe Augustine-Shange spearheaded the process with Torrin Theron’s and Chris Visser’s help. What have been the highlights of your event so far? We’ve had many so many highlights in the first year. One of the main ones is that we haven’t had a single cancellation since we started. Another was when we did a walk through Kayamandi to create awareness about our parkrun. It was just an eye-opener to see the difficult living conditions that our parkrunners come from since many of our regular volunteers are not from Kayamandi. It did not only bring us closer to our target community but it brought us closer together as volunteers. Another highlight is the support and encouragement we’ve received from fellow parkruns and parkrunners, especially in the form of running gear that we collect for the people that don’t have any. Are there any memorable or funny moments? Almost each week has a funny moment. One of the best memories was when Jabulani Mkhize donated his 250th milestone cake to our parkrun, it brought so much of excitement especially to the kids. It was funny how we managed to share one cake amongst so many kids. 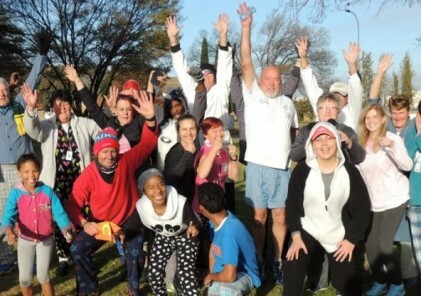 Who are the volunteers who make Kayamandi parkrun a success? Myself (Gugulethu Makhathini), Songo Fipaza, Amanda Maarman, Lindelwa Mvana, Crosby Matiwane and Msitheli Tukwayo assisted with getting the parkrun set up, and our volunteer team has grown so beautifully. 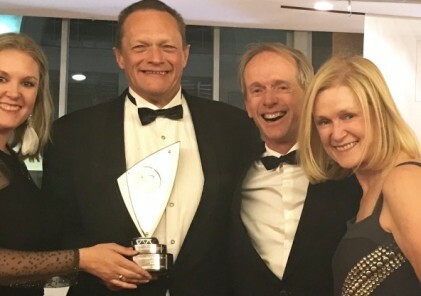 In addition to the previously mentioned, we have Bruce Bartlett, Hanlie de Bruin, Simiso Ncube, Clifford Siyothula, Rirhandzu Marivate, Susanne Fietz, Ian Thompson, Candice Montzinger, Ros Koch, Muzi Ncube, Lucie Osman, Ayanda, Philani Sengce. It’s not possible to mention everyone here but we are grateful to so many. 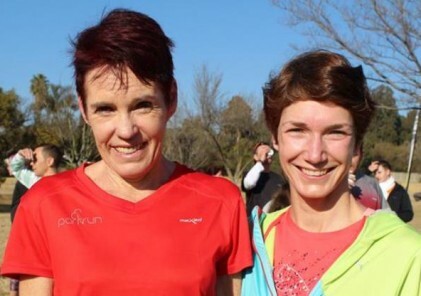 What makes Kayamandi parkrun unique? Our parkrun brings together very diverse people with regards to race, cultures, economic status etc. What is the route like? Our route is well known for the stunning panoramic views of Stellenbosch it offers. Additionally, the sleeping giant can be seen from the top, but the trick is getting past our famous 1st kilometre which is made up of three hills. One of the hills which is named after Mount Kilimanjaro is called Kili Hill. What sort of people come to Kayamandi parkrun? We have some families, some with prams. But we mainly have couples, individuals and plenty kids. A mix or runners and walkers. We have many runners from Kayamandi who use the route to train for big races like Comrades and Cape town Marathon. Myself and one of our core volunteers Simiso ran our first AfricanX trail run (approx 100km) this year and are grateful to Kili hill, which prepared us well. Have you had any notable visitors? Yes we’ve had a prominent member of parliament and Stellenbosch University’s (SU) Vice Chancellor. We’ve had many visitors from other parkruns, parkrun tourists and tourists from different countries. What are the facilities like? Our parking is just enough at the moment but we believe we will be able to accommodate more cars as the parkrun grows. Amazink, which is a popular township theatre-restaurant at Kayamandi recently launched Chalk Coffee Society which is a coffee shop that makes great coffee for only R20 and delicious affordable breakfast. What is the one thing a first timer to your parkrun should know? They should know the saying that goes “If it doesn’t challenge you, it doesn’t change you”. 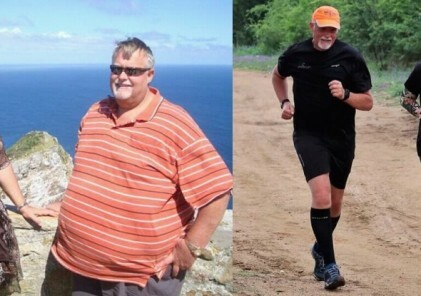 Kayamandi parkrun will challenge you in different ways, physically and emotionally, but it will all be worth it. They should also know that it will be our joy to host them.